Learn about different child care options. Call the Council's Child Care Referral Service for referrals that meet your needs. The child care counselors are familiar with NYS regulated child care programs/centers and homes in Dutchess and Putnam counties. The child care options are for children 6 weeks though 12 years of age and in some instances, may be appropriate and referred for older children. 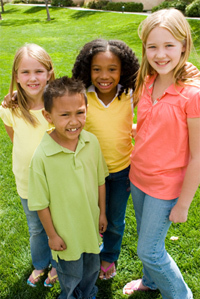 The Child Care Council of Dutchess and Putnam, Inc.'s free referral service offers assistance in many areas pertaining to many aspects of child care, including but not limited to day care referrasl, summer recreation information, nursery schools, pre-k programs and cost and subsidy information. The Child Care Council of Dutchess and Putnam, Inc.'s day care referrals are not recommendations for child care. Providers are referred using information supplied by the parent as to hours of care needed, location, school district and any other applicable information. Parents are encouraged to visit the day care and meet with provider(s) before enrolling their child. 1. Call us at (845) 473-4141 or toll free at 1(888) 288-4148 and follow the prompt. A Child Care Specialist will be able to assist you in making an informed choice for child care. This sevice is available Monday though Thursday, 8:30 a.m. to 5:00 p.m. and Friday, 9:00 a.m. to 5:00 p.m.
2. Submit an Electonic Form: Fill out the online form and click to send. A Child Care Specialist will review the information and contact you within one business day. Click here to submit an Electonic Form. 3. Search on Your Own: Search our database 24 hours a day, 7 days a week to find child care centers, family and group family child care homes, school age programs, nursery schools and summer recreation programs in Dutchss and Putnam Counties. Click here to do an e-Child Care Search. The New York State Office of Children and Family Services (OCFS) is charged by State Law to regulat, license/register and monitor those child care settings that meet the State definition of child day care. 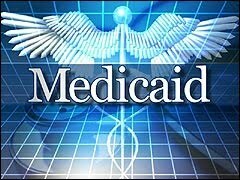 Medicaid is available to income eligible families. The Dempartment of Social Services determines eligibility. Child Health Plus is health insurance for children. 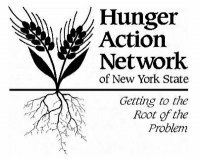 Depending on the family income, the child may be eligible to join Child Health Plus A or B both of which are available through dozens of providers throughout New York State. Family Health Plus is insurance for adults (single, couples without children and parents with limited income) between the ages of 19 and 64 who do not have insurance and have incomes too high to qualify for Medicaid. Healthy NY promotes access to quality health care by providing comprehensive health insurance to NY’s uninsured workers and their families. Child Care Subsidy - Help in paying for child care is available for income eligible working parents. Screening for eligibility is available. Food Benefits - WIC (Women, Infants and Children); Food Stamps for use in Supermarkets and Farmers Markets; Food Pantries; Summer Lunch Programs, or churches. The Council understands the relationship between children, parents and provider is one of the most important avenues to encourage and promote the well-being of children. For this reason, the Council has vigorously worked to establish a parent education initiative. Data was collected from parents residing or receiving child care services in Dutchess and/or Putnam Counties. We discovered what child care topics parents would like more information about; when the best times to attend training are; the most convenient locations, etc. To help meet the needs of the parents, the Council has partnered with other human service agencies to bring you the most effective training. Opportunities are available throughout the community. The Council invites you to browse the Parent Education Calendar and discover what's best for you and your family! Visit the Parent Education Calendar to view dates, times and locations of upcoming events!